New research has confirmed what we knew all along: Netflix is saving young people hours and hours of watching adverts. According to a new report by Exstreamist, youngsters aged 2-18 who watch Netflix are saving themselves a whopping 150 hours of advertising per week. New research has confirmed what we knew all along: Netflix is saving young people hours and hours of watching adverts. That’s according to a new report by Exstreamist, who compiled data from academic papers on the amount of time children spend in front of streaming services and crunched it with the average amount of screen-time devoted to advertising. They found children aged between 2-18 are spending an average of 1.8 hours a day using streaming services – some 650 hours of television per year. As Nielsen reports that every hour of US television contains an average of 14 minutes of advertising, the numbers are simple. The result? 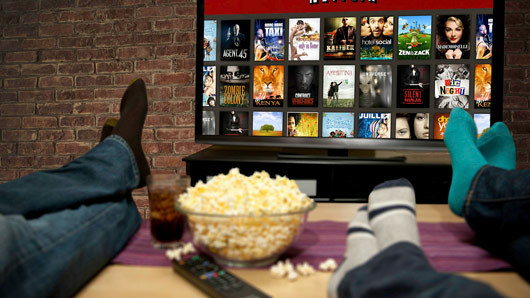 Youngsters watching streaming services like Netflix are sparing themselves from a whopping 150 hours of adverts per year. That’s nearly a week of additional time that could be devoted to studying, schoolwork or… let’s face it, anything but adverts. Of course, this information is US-specific. British channels usually devote less screen-time to advertising than our American counterparts, but the point still stands. Streaming services are a way to cut out unwanted advertising, and young people will continue to turn to them.